From the beginning, women have been Grinnell athletes. But their playing fields were not always equal. It took the implementation of 1972's federal Title IX legislation to create formalized women's athletics teams. For decades, most women at Grinnell (and elsewhere) competed at great disadvantage and only for love of the game. 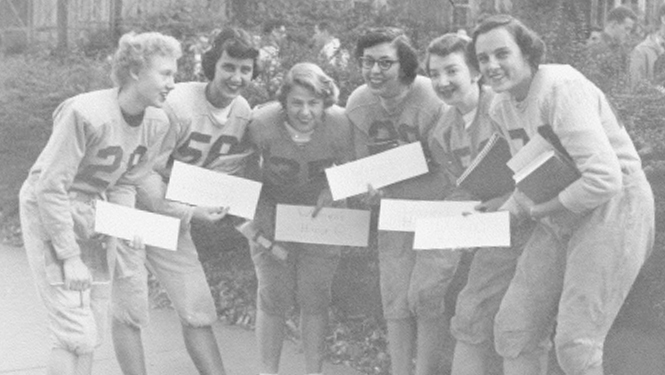 April 21-22, we look forward to hosting this special weekend celebrating and honoring the College's Pioneer women, whose efforts to compete — at the club level or through intramurals — paved the way for generations of proud Pioneer women student-athletes. 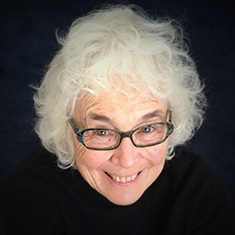 Judy Mahle Lutter ‘61, Grinnell College Hall of Fame inductee and co-founder of the Melpomene Institute, speaks about her lifetime of work to encourage women of all ages and abilities to find the joys and benefits of a physically active life. Join panelists Gail Pomrehn Greenwald ’57, Anne Brineman Anderson ’64, Leanne Hoepner Puglielli ’66, and Marcia David Koester ’71 in a discussion of the Grinnell College women’s athletic experience before Title IX’s implementation in 1972. 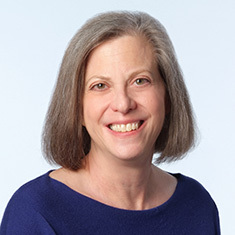 The session will be moderated by Karen Blumenthal (right), award-winning author of Let Me Play: The Story of Title IX, the first true history of this significant law. Join panelists Kit Wall ’77, Veronika Platzer ’87, Evelyn Freeman and Patty Johnson as they discuss the evolution of women’s athletics at Grinnell following the passage of Title IX. The session will be moderated by Dee Fairchild, associate professor emeritus of physical education and Grinnell athletic director from 1986-2007.